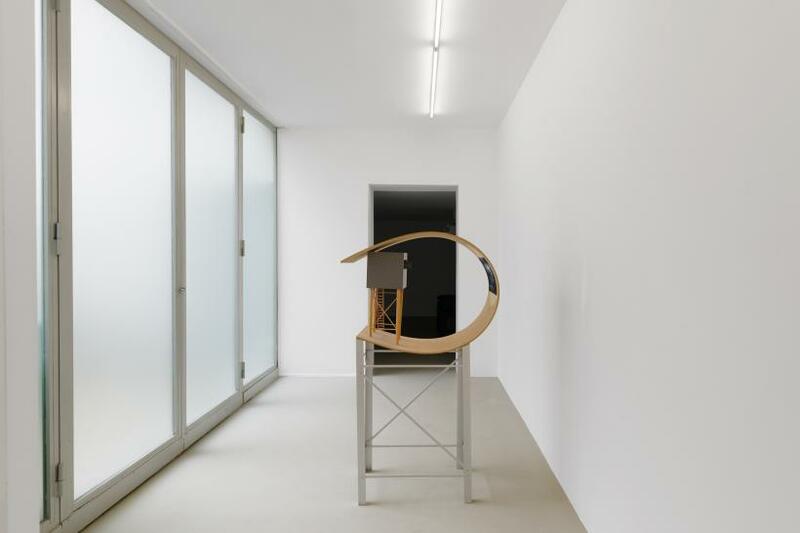 Title : Reynier Leyva Novo, A Thousand and One Times Revolution, 2009-2018, exhibition view Affective Utopia, KADIST, Paris. 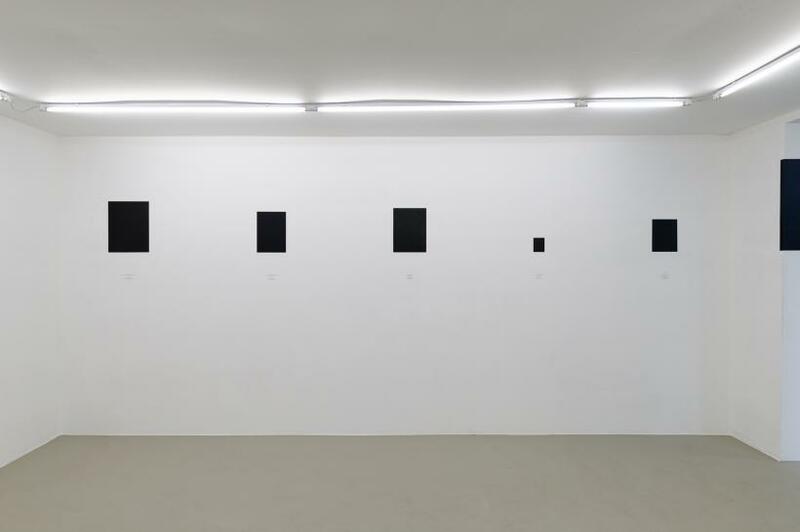 Title : Alfredo Jaar, September 15, 2009, exhibition view Affective Utopia, KADIST, Paris. Title : Reynier Leyva Novo, THE WEIGHT OF DEATH - 12 WARS, 2016 (detail), exhibition view Affective Utopia, KADIST, Paris. 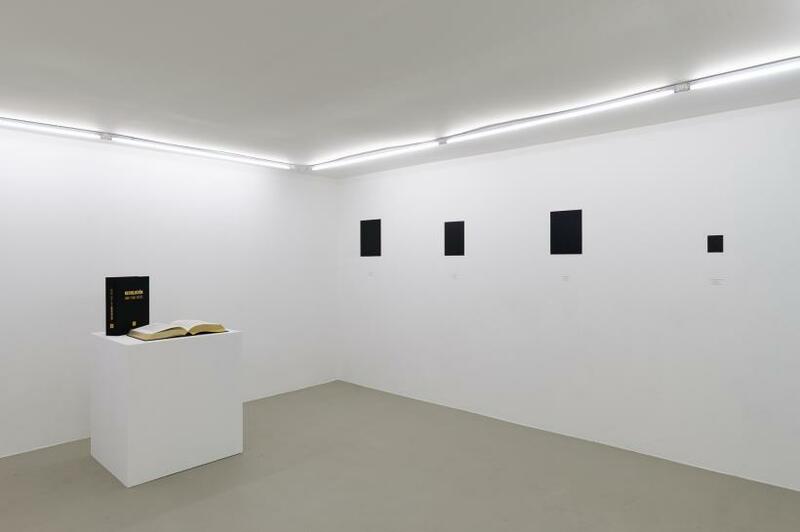 Title : Reynier Leyva Novo, THE WEIGHT OF DEATH - 12 WARS, 2016, exhibition view Affective Utopia, KADIST, Paris. 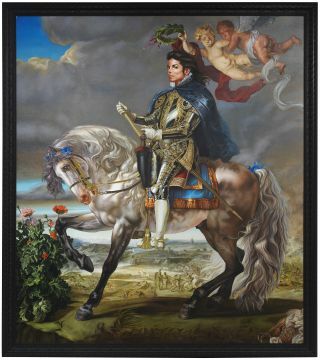 Title : Reynier Leyva Novo, THE WEIGHT OF DEATH12 WARS, 2016 and A Thousand and One Times Revolution, 2009-2018, exhibition view Affective Utopia, KADIST, Paris. Title : Luis Camnitzer, Lecon d'histoire de l'art no.11, 2000 (detail) exhibition view Affective Utopia, KADIST, Paris. 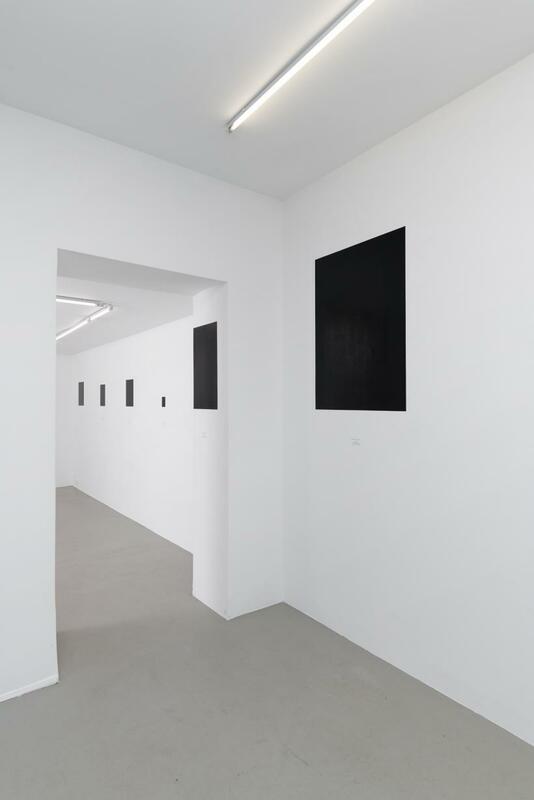 Title : Luis Camnitzer, Lecon d'histoire de l'art no.11, 2000, exhibition view Affective Utopia, KADIST, Paris. 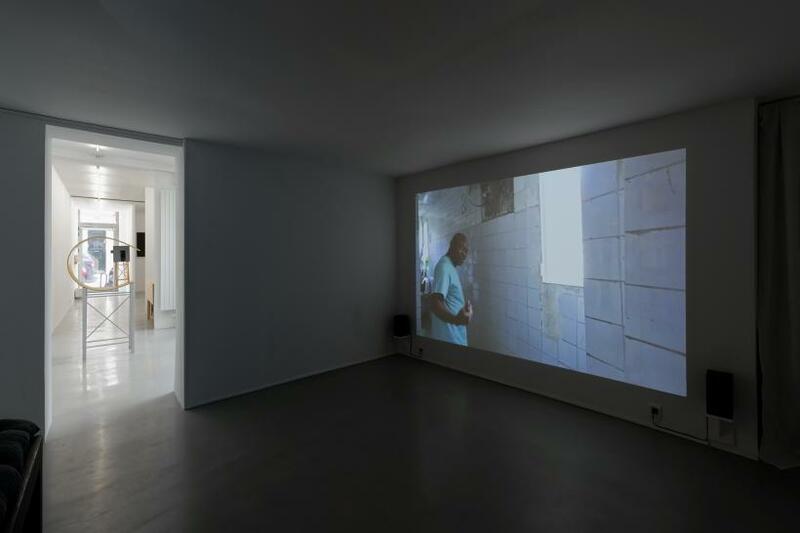 Title : Sammy Baloji & Filip de Boeck, The Tower, A Concrete Utopia, 2016, Vue de l'exposition Affective Utopia, KADIST, Paris. Credit : Photo : Aurelien Mole. 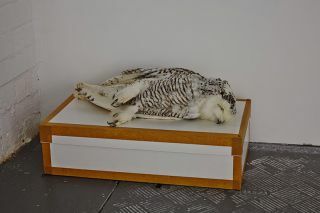 Title : Kiluanji Kia Henda, Icarus 13, The First Journey to the Sun, 2007, Vue de l'exposition Affective Utopia, KADIST, Paris. 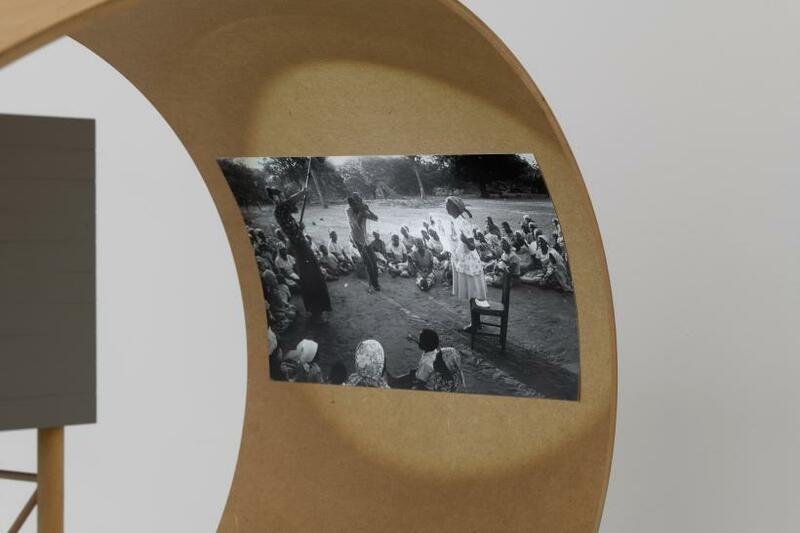 Title : Angela Ferreira, Study for a Monument to Jean Rouch's Super 8 Workshops in Mozambique (nr.3), 2011, Vue de l'exposition Affective Utopia, KADIST, Paris. Imagining utopia seems to have become the principal task of artists as of late, any speculative, social practice is quickly branded as such. So much so that the title of Kadist’s latest exhibition ‘Affective Utopia’ almost washes past unnoticed. 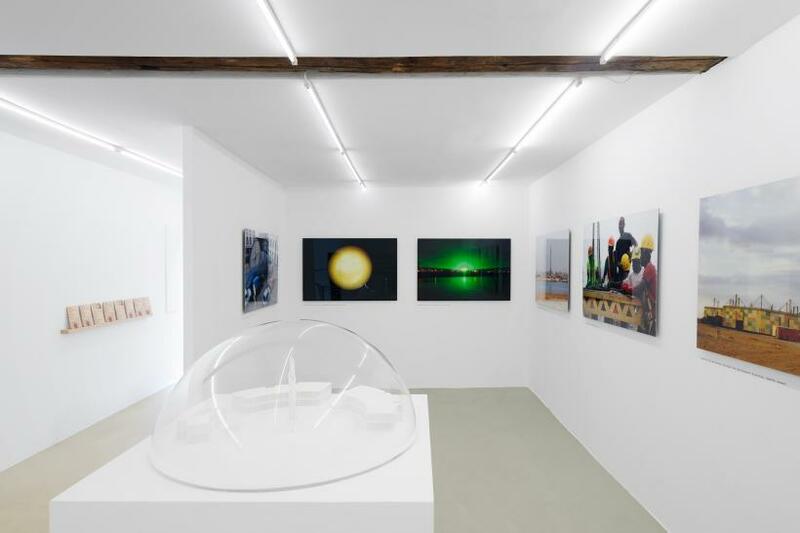 This group show however, curated by Mónica de Miranda and Bruno Leitão, founders of Hangar art centre in Lisbon, deliberately platforms this notion of utopia, taking such projects seriously, while also keeping an awareness of its art world currency and attempting to redefine it in a meaningful way. 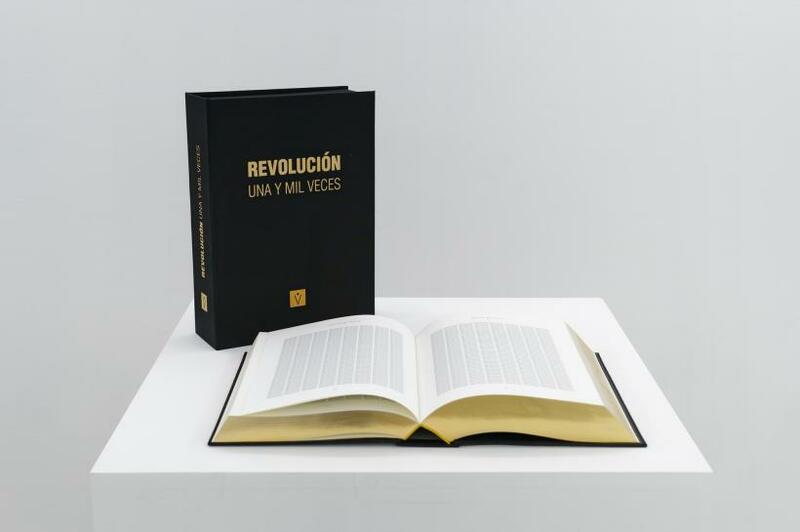 Divided into three chapters, ‘Concrete Utopia,’ ‘Art as a Critical Tool,’ and ‘The Body as a Political Tool’ respectively, the exhibition features work by Sammy Baloji & Filip De Boeck, Luis Camnitzer, Ângela Ferreira, Alfredo Jaar, Kiluanji Kia Henda, Grada Kilomba, Reynier Leyva Novo and Paulo Nazareth. 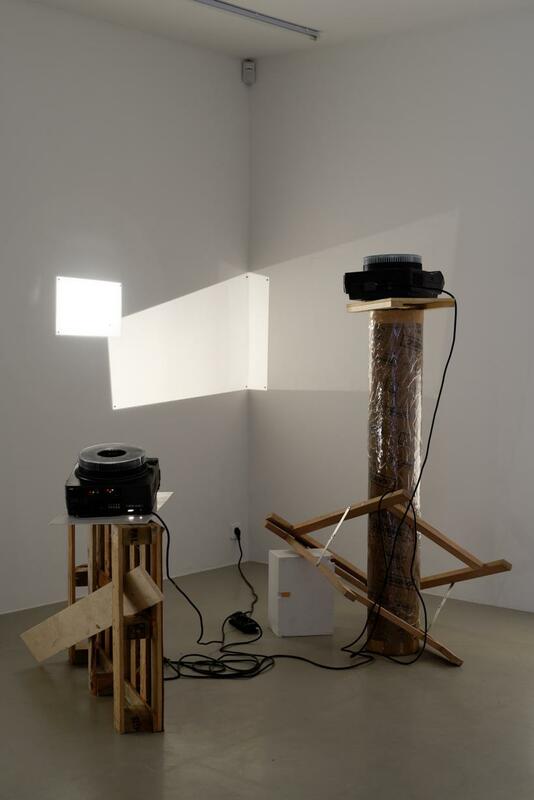 One of the central pieces in the first chapter of the show is Sammy Baloji and Filip De Boeck’s ‘The Tower’ (2016). The hour-long film documents a guided tour of an atypical building in the heart of Kinshasa. We are led through the 12-storey space by the ambiguously named, “docteur,” the owner and creator of a construction that he hopes will become, he reveals, a hospital, an aviation school, a restaurant, a space for painters and poets, and a space for prayer. The handheld camera tracks the docteur’s movements up the narrowing stairwells and through the various spaces. Only briefly do we see the uneven building set against the backdrop of the rest of the city, its un-uniform dimensions stretching far higher than the buildings that surround it. The video frame presents the docteur’s tower as the ambition for an autonomous edifice, a city within a city, a utopic response to the city’s infrastructural impossibilities. If the skyscraper was the symbol of the arrival of modernity in Africa for the Belgian colonizer, then the docteur creates an exemplary post-colonial architectural structure, defying imperatives of categorization and of architectural uniformity. This video sits aside pieces by Ângela Ferreira and Kiluanji Kia Hendi; the latter of whom presents a photo/maquette series entitled ‘Icarus 13, The First Journey to the Sun’ (2007). 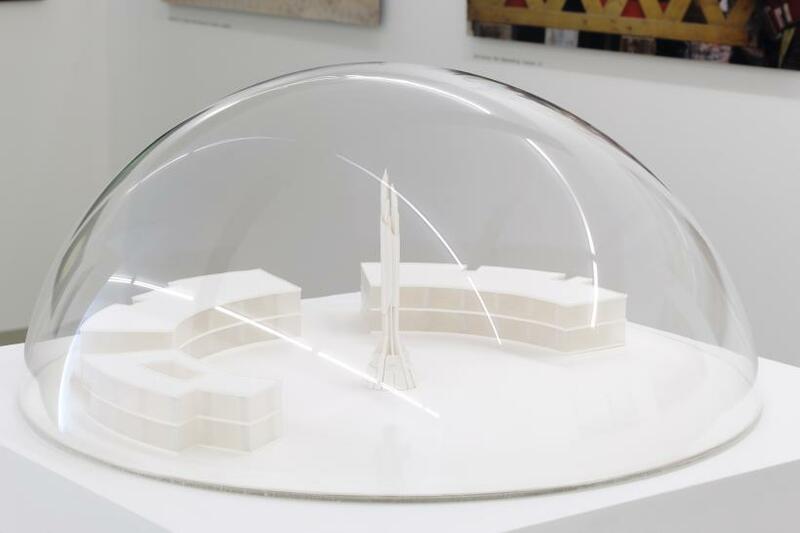 Equally playing upon symbols of modernity and colonial corollaries, this body of work appears to depict an Angolan space mission to the sun. Not only do the images of modernist architectures of varying social function appear as a plausible space station, the accompanying wall text also discreetly, but deliberately, blurs documentary and fiction. Only the implausibility of solar exploration and the suggestive title, ‘Icarus,’ indicate the unreality of the scenario. 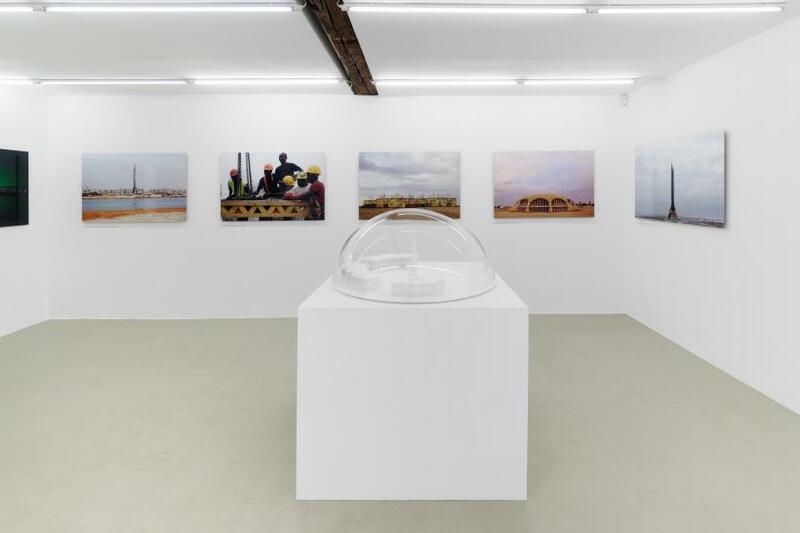 The work dances along this productive tension between fact and fabrication, allowing the artist to draw parallels with the oil-fuelled aspirations of contemporary Angola as well as the local history of oppression. 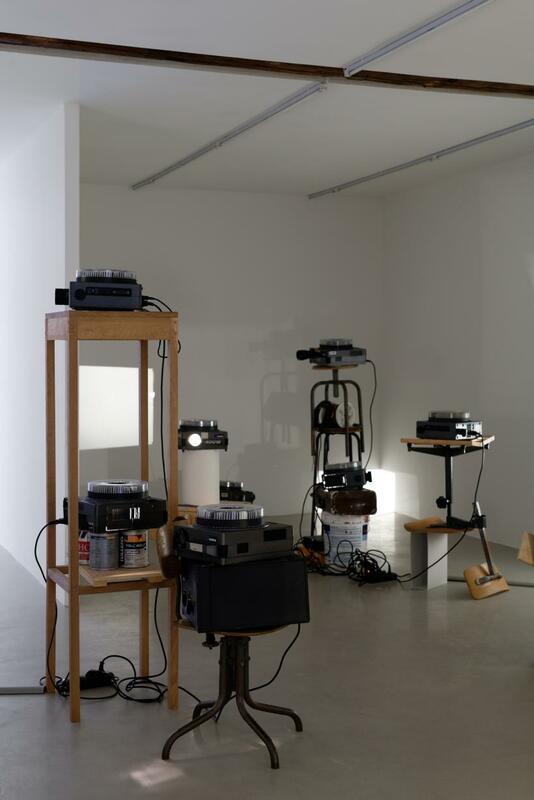 The next chapter features Luis Camnitzer’s ‘Leccion de historia del arte, Lesson n°11’ (2000), a collection of empty projectors flickering beams of white light across Kadist’s small gallery space. 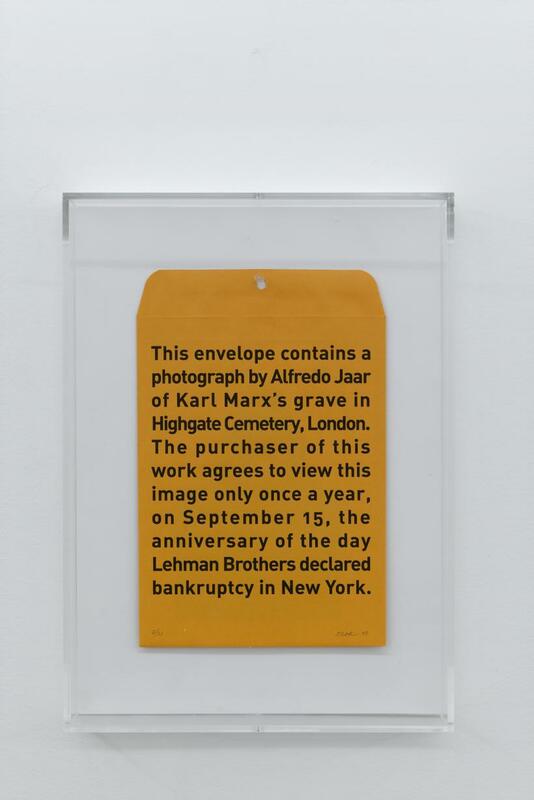 The work is displayed alongside Alfredo Jaar’s ‘September 15’ (2009) and two works by Cuban artist Reynier Leyva Novo. 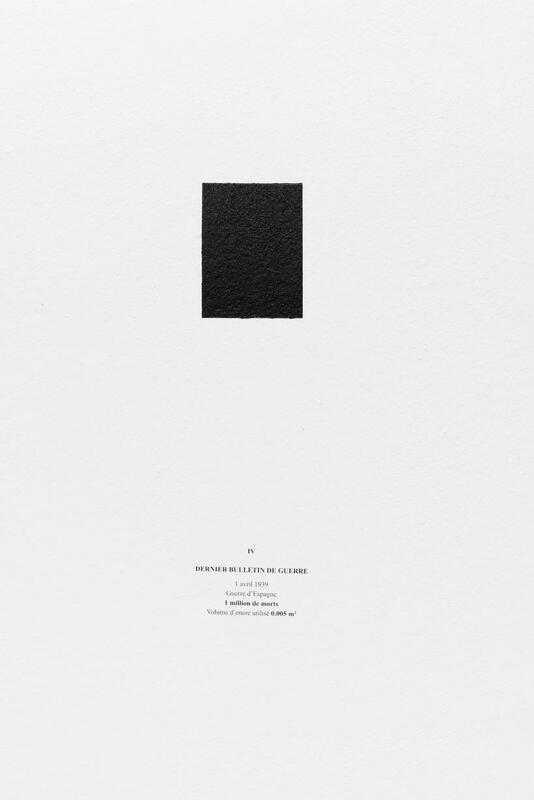 This compendium is framed by a speech given by Camnitzer at the opening of the exhibition in March. His talk, ‘Monolingual Players,’ presents a quasi-manifesto that recognises the capacity of art to operate as a universal second-language. If navigating the world in one’s mother tongue allows for unquestioning ease of expression, what second language and art both have in common is an intuitive means of complicating thought patterns, allowing for a deepening of critical distance when considering knowledge production or socio-political discourses for example. 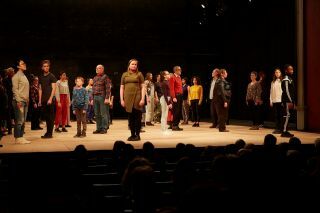 A third and final chapter, opened on 4th April, shifts the critical focus towards an embodied experience of artistic production, where both featured artists, Paulo Nazareth and Grada Kilomba, use their own bodies in works that explore notions of racialization, history and objectification. Kilomba’s video series ‘Illusions’ (2009/10) restages Greek myths and unravels the deep entanglement of oppression at their root. Kilomba plays the role of live narrator, the “griot,” recounting and reworking the stories of Narcissus and Oedipus, warping and stretching their content to include tales of a colonial past that render the inherent, residual framework of subjugation within these foundational texts visible. 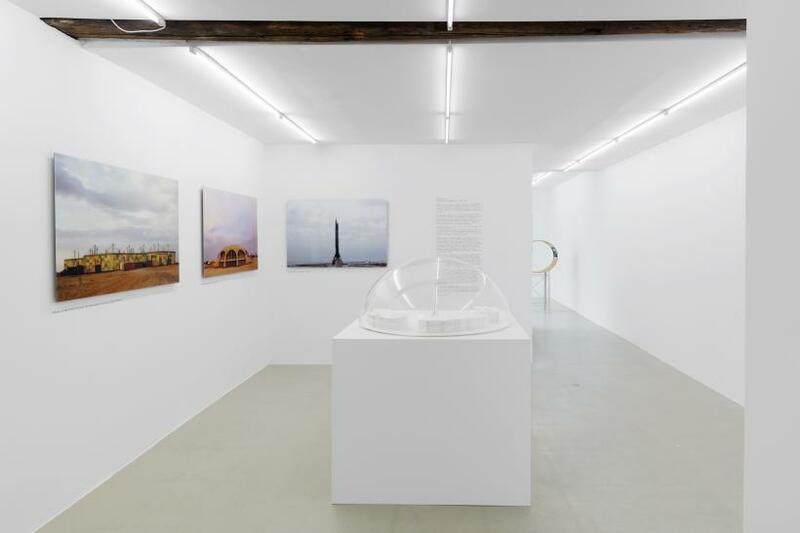 While the decision to fragment the exhibition into three parts and displace the programming of one art centre (Hangar) to another (Kadist) may not appear particularly radical on the surface, these curatorial contortions aim to practically engage with questions of community, geography and perspective. 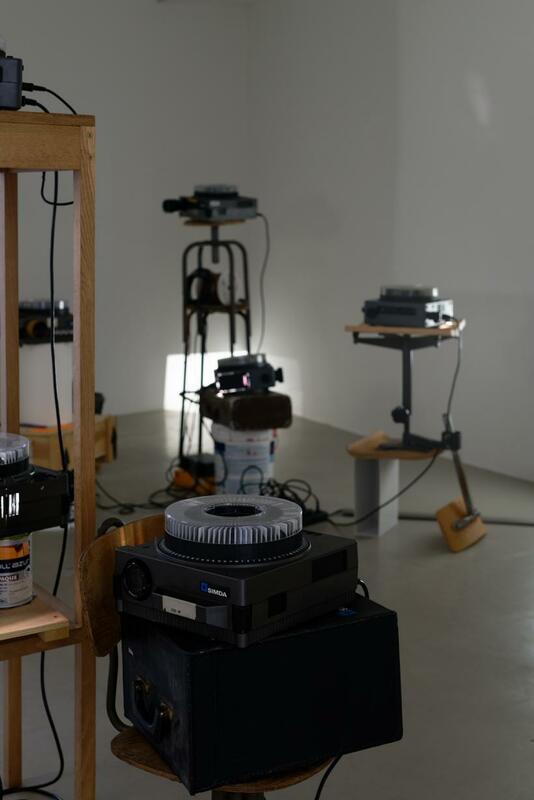 Without reductively instrumentalising any individual work, the exhibition sets out a means through which artistic production might efficiently challenge culturally hegemonic structures.